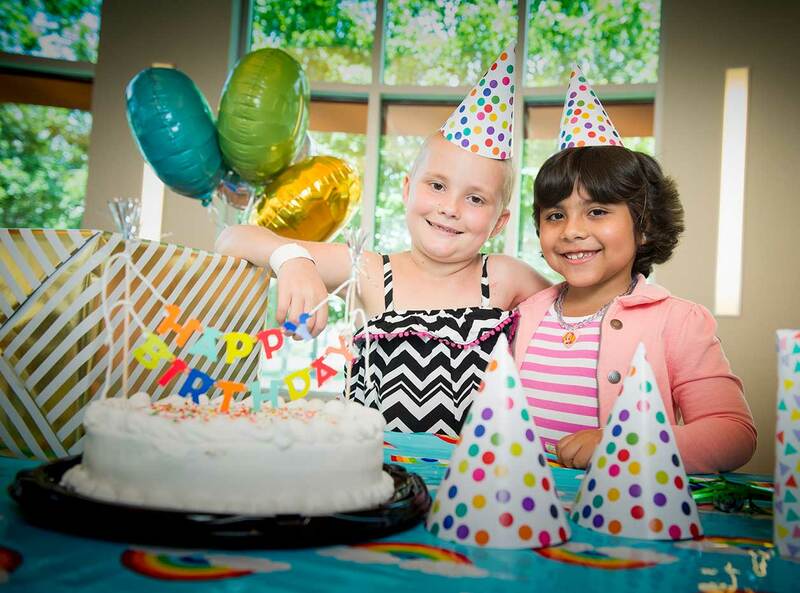 Dedicate your birthday to the kids of St. Jude and give them the ultimate gift. Question - Required - Get started now. Remind me closer to my birthday. 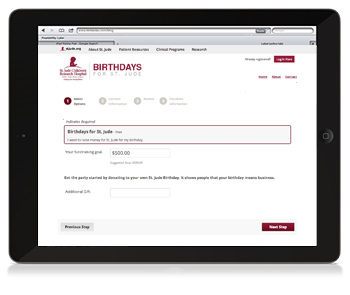 Register to receive your personal birthday page. Log in and explore your resources and fundraising tips. Make a personal donation to kickstart your fundraising. 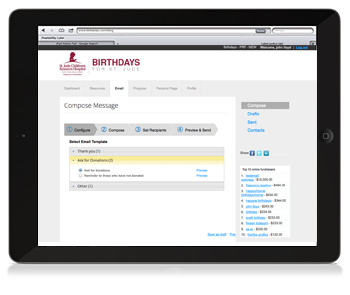 Personalize your birthday page with photos. Tell people why you're dedicating your birthday to St. Jude. Upload your email contacts to your fundraising center. Visit the resources page for more fundraising tips. 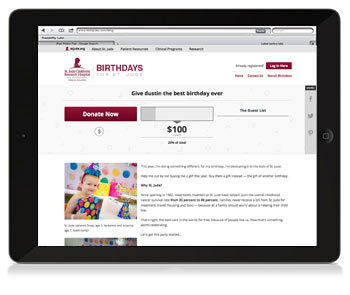 Track your fundraising progress online and thank your donors.